For Spanish Week at La Garenne, the primary section were introduced to this with an informative assembly by our Year 5 pupils. 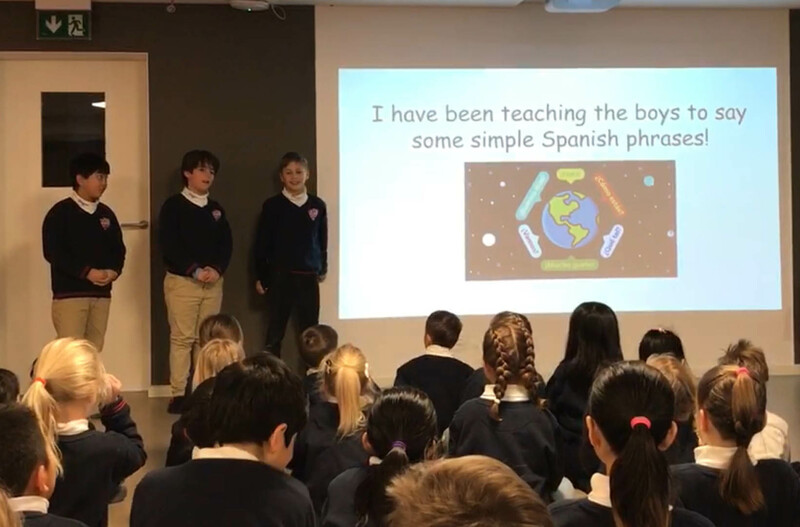 The Year 5 class taught us so much about Spanish culture, not only in Spain but in other Spanish speaking countries around the world. There are 20 countries that have Spanish as their official language and more than 400 million people speak Spanish around the world. Each child presented information, that they had individually researched, about a famous Spanish person or festival. We heard about Rafael Nadal, the No.1 tennis champion, Salvador Dali and Picasso, the famous artists, as well as about some Spanish footballers and ‘La Tomatina’ festival, where people throw tomatoes at each other! The girls treated us to a Flamenco dance as they had been practising some of the moves and the boys each introduced themselves and their ages in Spanish. The assembly finished with everyone in the primary section having a go at learning some Spanish words, led by Rodrigo, our Year 5 Spanish speaker!